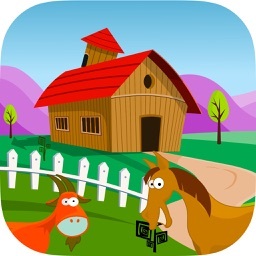 A Bee Sees - Learning Letters, Numbers, and Colors by Headlight Software, Inc. 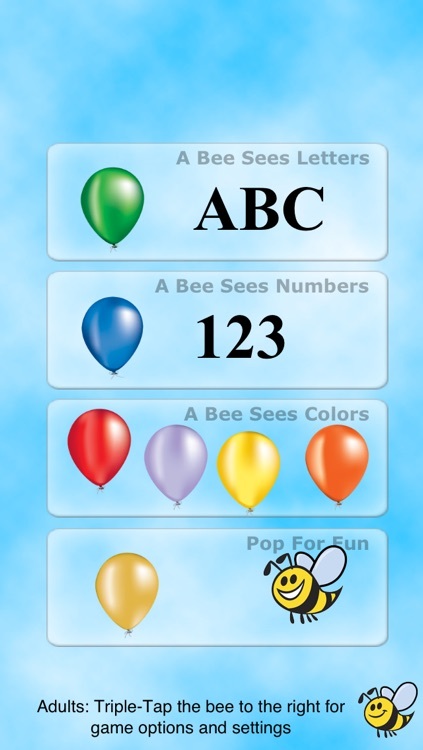 The happy, balloon popping bee helps kids learn Letters, Numbers, and Colors. 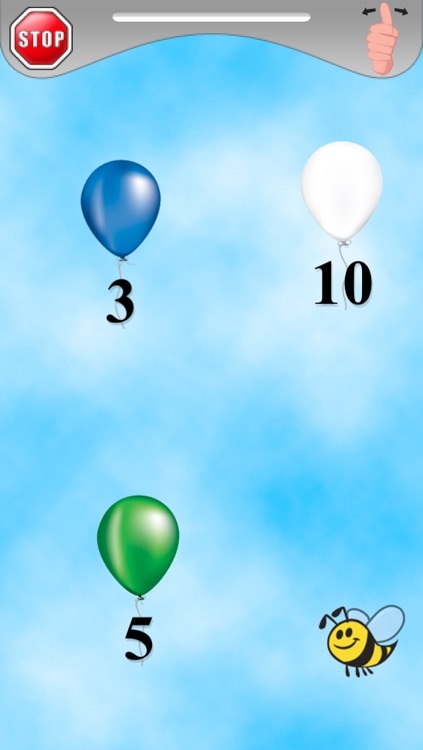 With easy to use controls, even the youngest child can tap the screen of the iPhone or iPod touch to pop the correct balloon. 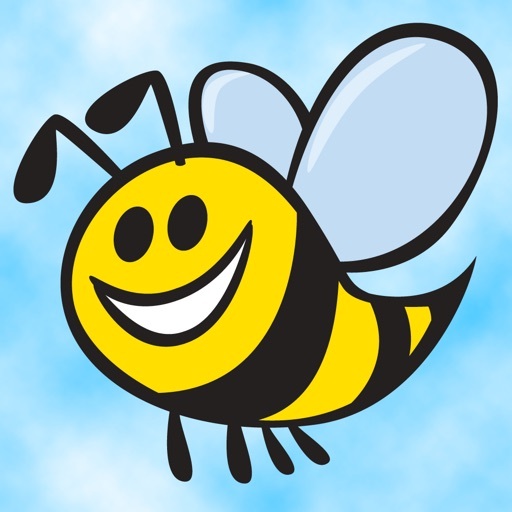 "A Bee Sees: Unlock All Games"
Voice instructions tell the child what to pick, then they touch the balloon for the bee to pop. 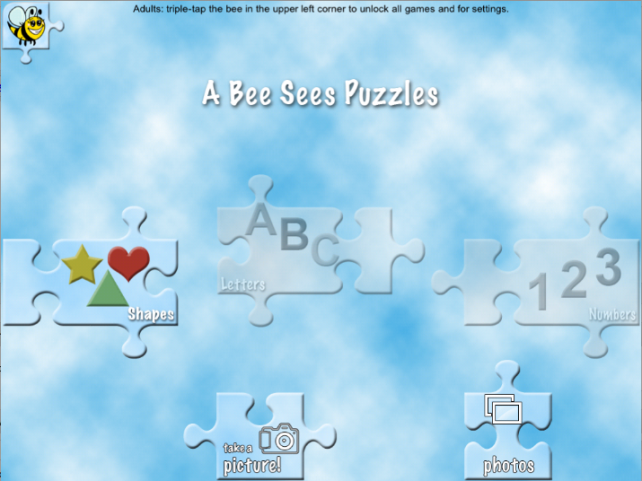 Options for adults let you set what to teach. ✓ Uppercase letters, lowercase, or both. ✓ Pick how high the numbers go. 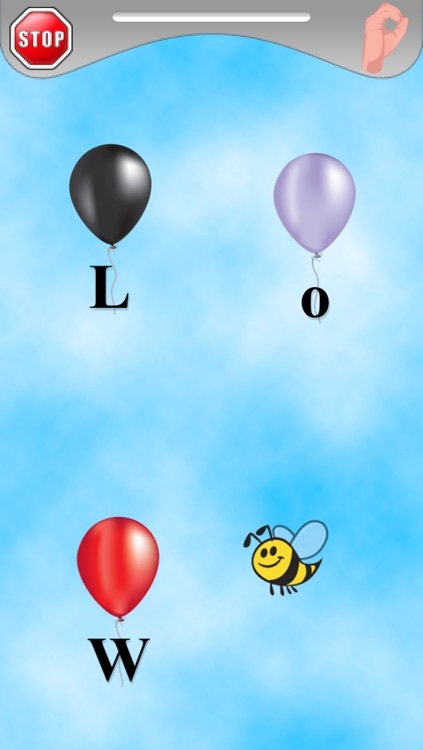 ★ Includes the American Sign Language symbol for letters and numbers 1 thru 10. 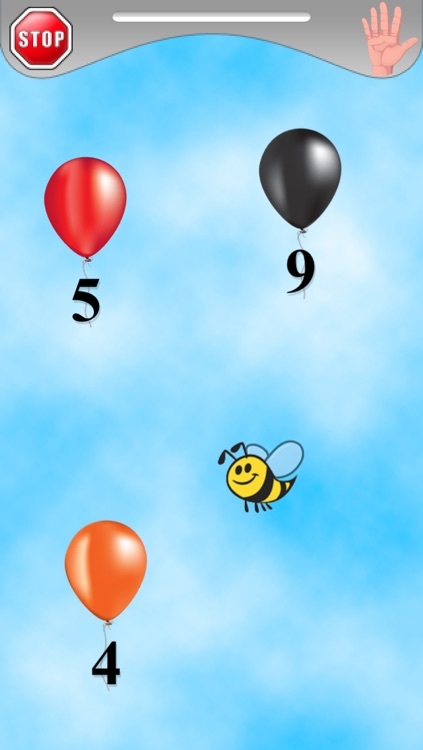 ★ "Pop for Fun" game lets kids play and have fun popping balloons. 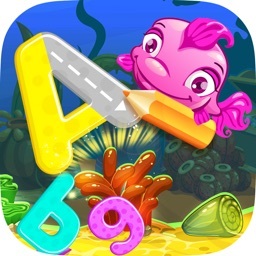 ★ Highly addictive for toddlers. 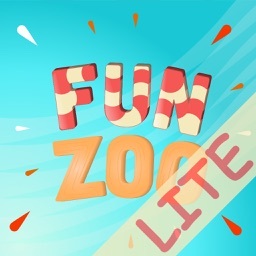 A friend's 2 year old child calls all iPads "pop" because of this game! 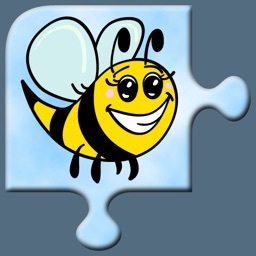 Learning your ABCs can be loads of fun with a happy little bee helping to get it done.